MARIGNANE, France --- The German Federal Police (Bundespolizei) has taken delivery of three heavy H215 helicopters, with a fourth to follow in June 2019. These twin-engine multi-role Super Pumas will enter operation at the beginning of 2020 supporting the Central Command for Maritime Emergencies (CCME), which oversees maritime missions off of Germany’s coast. 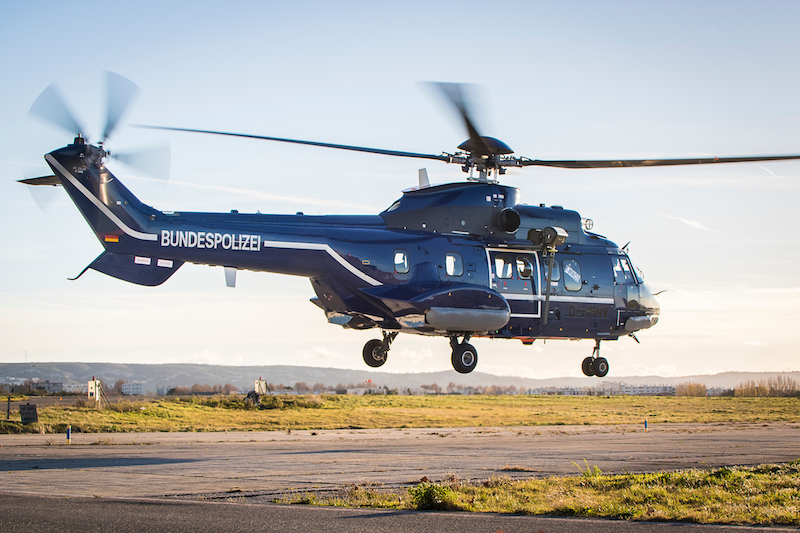 These aircraft will complement the German Federal Police’s existing fleet of Airbus helicopters, which includes 42 H135 family helicopters, 19 Super Pumas (AS332 L1s), 19 H155s and 8 H120s. The German Federal Police flies its aircraft 365 days a year while performing a wide range of missions such as border protection, railway network control, maritime protection and disaster response, VIP transport and emergency medical services, among others. The H215 is a versatile and robust twin-engine helicopter that combines advanced avionics and a reliable platform for rugged multi-mission capabilities. Standard features include proven Makila 1A1 engines, the latest generation flight management system, and the most modern technologies. This includes a glass cockpit avionics system and the renowned 4-axis autopilot from Airbus Helicopters’ H225 – which provides flight envelope protection, unrivalled precision and automatic hover stability in the harshest operating conditions. Airbus Helicopters is the global market leader for police helicopters, with nearly 300 law enforcement customers based in 60 countries.